Certificates of deposit offer higher interest rates than your regular deposit accounts because you agree to leave the money in the account for a specified period of time. Plus, there's no risk of losing your principal like there is with stocks or mutual funds. However, when you cash out, you will have to share some of the interest with Uncle Sam. Only the interest portion of your CD redemption counts as taxable income. For example, say you put $500 in your CD and then six months later you received $510 when you cashed in your CD. You only have to pay income taxes on the $10 of interest -- not the $500 that you invested in the CD. If you did, you'd be paying taxes on the same money twice because you were already taxed when you earned that $500 of income. If you earned $10 or more in interest, your financial institution must send you a Form 1099-INT that shows you exactly how much you earned. However, even if you don't receive a 1099-INT because you earned less, you're still responsible for reporting it on your income taxes. If your total interest for the year exceeds $1,500, you also have to complete Schedule B to show each source of your interest income. 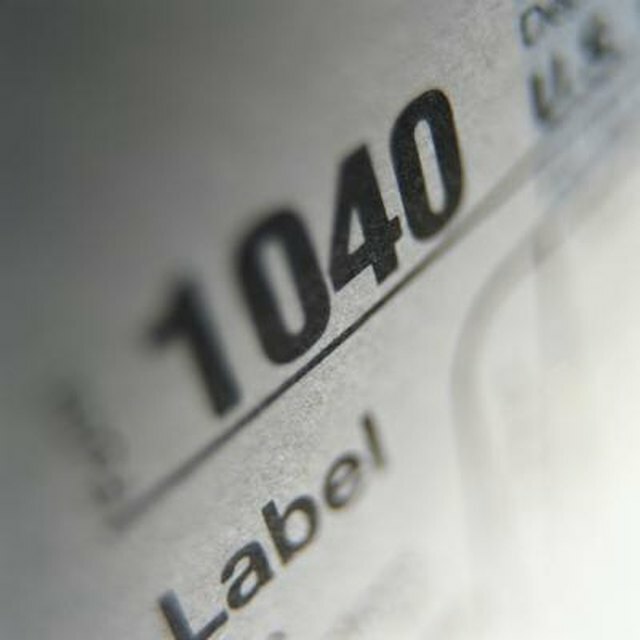 Interest income is taxed at the same rates as your ordinary income. For example, if you're in the 25 percent tax bracket, that's the rate you pay on your interest income. Even if the CD was for more than a year, the interest doesn't qualify for the lower long-term capital gains rates. Worse, if your income is high enough, it's also hit with the 3.8 percent net investment income tax. As of 2013, the income thresholds for the net investment income tax is $250,000 if you're married filing jointly or a widow or widower with a qualifying child, $125,000 if you're married filing separately or $200,000 if you're single or head of household. Do You Report Credit Union Dividends As Interest Income on a Tax Return? Do I Have to Report Income From a Certificate of Deposit? Do I Claim Interest Earned From a CD on Taxes if the CD Isn't Cashed in? What Is the Minimum Reportable Interest on a Tax Return? If you paid an early withdrawal penalty because you redeemed your CD before it matured, that gets reported on your Form 1099-INT as well, in box 2. Don't take it off the amount of interest you're supposed to report. Instead, you're allowed to take it as a separate, above-the-line deduction on line 30 of Form 1040. That means you can claim it even if you don't itemize. For example, say you have $800 of interest and a $150 penalty. You report the full $800 as taxable interest and then claim a $150 deduction for the penalty.